I truly wish that they were correct. 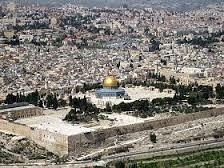 Some 25 years ago a friend of mine used to go up onto the Temple Mount once a month, on the day of the New Moon. He used to go with one of the most well known Chabad rabbis in Israel, a man who is known for his understanding of Kabbalah. Of course they would take all the proper precautions and when they were on the Mount, the rabbi would say certain Kabbalah “intentions” that were pure and only with the best motives. Their obvious hope was that they were helping to bring the Third and final Temple. I truly wish that the Temple Institute was right, but apparently, according to the ones who know, it is presently forbidden to go up onto the Mount. I have asked what sign they would need to say that it is allowed, and they are reluctant to answer. What do we have to gain by going up now, and what might we be losing by going up if it is not what Hashem wants right now? Sadly, I think that we should wait, at least for now. We need the awakening of the people and longing for the Third Beis. I believe that humans will build the Third Beis, so therefore people will have to ascend to do the work. Yes, Jews might not be the stone builders, but the contractors and foremen should be. However, I also believe that an earthquake or such happening will precipitate this rebuilding. I believe It will be an earthly construction (mirrored by the Heavenly blueprint). There are more Torah sources and geological studies to understand I'm sure. I'm curious to know what is the sin of going to the mount. If it is the actual going up, or if it is indirectly something else like the common Haredi fear of provoking the goyim. How long will it take before the majority of rabbinical leadership becomes serious about eliminating the hillul haShem (desecration of G-d's name) taking place on Har haBayit daily? When they do, the people will be behind them - even many who do not follow them. Josh may have a point, that many religious Jewish leaders are still afraid of what the goyim will say (and do as a result). Goy mouths will be closed on the day we firmly take back what was mistakenly given to the most openly hateful among them.